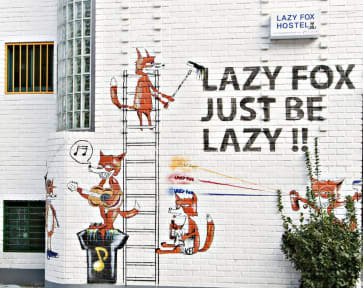 Hongdae Lazy Fox Hostel In Seoul i Seoul, Sør-Korea: Bestill nå! This is the best damn hostel I've ever been to. Staff really goes above and beyond to make you feel at home, and the location makes it easy to just subway around to whatever you might fancy. Thank you so much, guys, for a great stay in Seoul. W/ love from Daniel.